Chapter 1 is Finished! | Web comic "Surfer Joe"
We will be taking a short break. But will be back with more Surfer Joe madness soon, so sit tight! 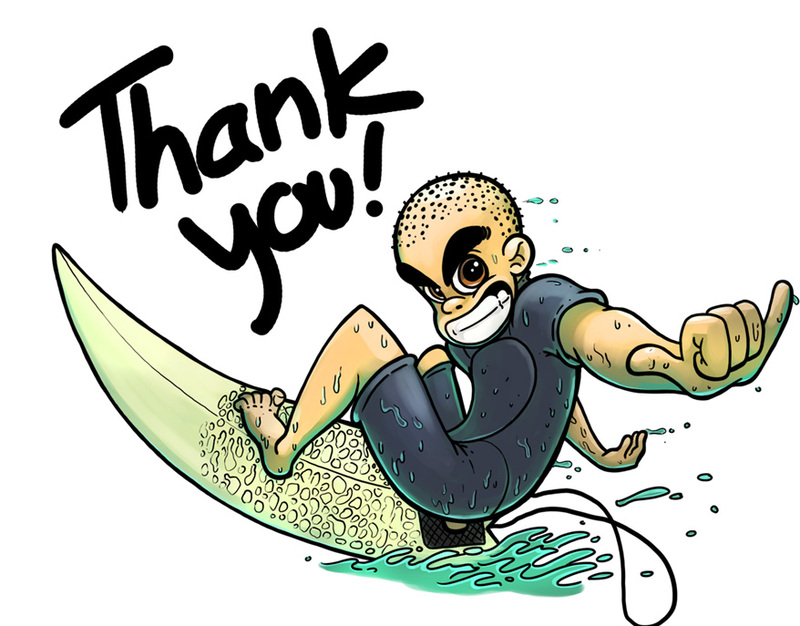 Thank you so much to everyone who has been reading and supporting Surfer Joe!